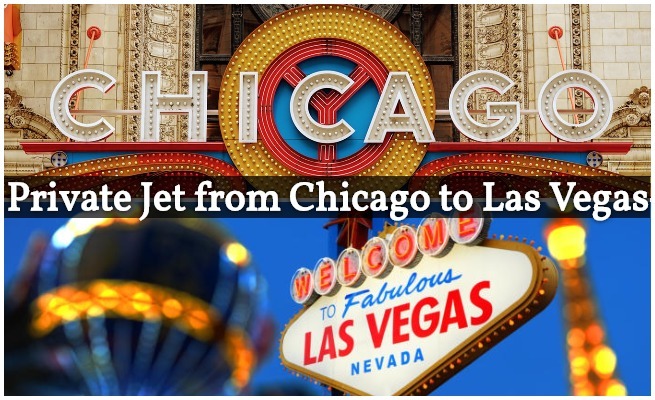 Enjoy instant access to thousands of private planes and the most competitive hourly rates when you charter a private jet from Chicago to Las Vegas with ChicagoPrivateJets! Requesting a free quote from us means you’ll gain access to every charter plane available in the United States. This can potentially include empty leg deals on transient jets returning to the West Coast! Planning on flying private often? Take control of your private air travel with one of our 25, 50, or 100 hour jet card memberships! Enjoy guaranteed rates & availability on a wide range of aircraft types for flights to Las Vegas, New York, Miami, Houston, and more! Chicago offers several airports for your departure. 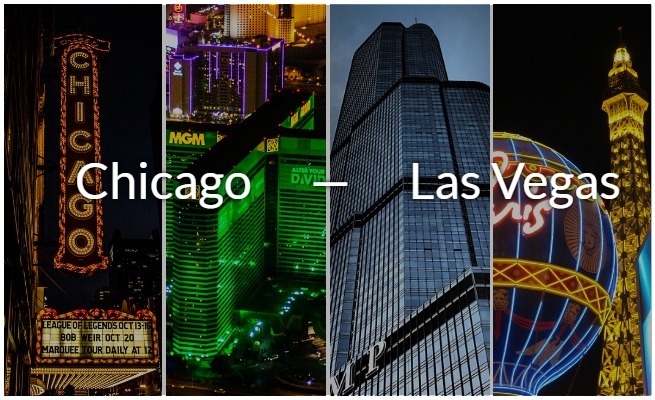 Choose from Midway, O’Hare, DuPage, Chicago Executive, Waukegan National, and more than a dozen additional airports surrounding the Windy city for the best deals on flights from Chicago to Las Vegas. Luxury ground transportation can be arranged as well, dropping you off right on the tarmac at your preferred airport. Small planes and helicopters can also be arranged to quickly navigate your away around Las Vegas after your private jet arrives. Call us at 888-987-JETS or email us for a free charter quote, and book your private flight from Chicago to Las Vegas. When arranging flights from Chicago to Vegas with one of our brokers, you can choose from thousands of private planes based at airports across Chicago, Illinois, and surrounding areas of the Midwest. From turboprops and light jets, to VIP airliners, executive business jets, and even deadhead flights and empty leg deals, we’ll find the best planes at the right price for any kind of private flight. Our no obligation charter quotes include transparent, accurate pricing, and there are no long term contracts, no hidden fees, and no membership payments. Simply pay whenever you fly, and let us find you the best deal for every flight. Is flying private your preferred way to get travel? You’ll be happy to know we can connect you with the best private jet cards, even if you’re not looking to take advantage of great rates on our bespoke air charters. Check out some example pricing for private flights from Chicago to Vegas. We’re available around the clock for any last minute trips, ASAP requests, or if you just want the fastest, most luxurious way to travel from the Windy City to Sin City. Ideal for medium to long trips, light jets offer around 2,000 nautical miles of range and can reach speeds of up to 500 miles per hour, making them ideal for quick, non-stop flights from Chicago to Las Vegas. Light jets can be broken down into 3 categories: entry level jets, light jets, and super light jets. Entry level private jets, or VLJ for Very Light Jets, are the best way for individuals and small groups to arrive at McCarran Airport (KLAS). They offer superior fuel economy and runway performance compared to midsize jets, while saving around $1,000-$2,000 per hour on charter costs. Super light jets can seat up to 7 passengers, ideal for executive groups or family offices. Popular light jets for flights to Vegas include the Cessna Citation CJ series, Hawker 400XP, LearJet 40/45 and 70/75, and the best selling private jet in the world, the Embraer Phenom 300. Flying private with friends or family to Las Vegas for bachelor parties, vacations, concerts, shows, and other special events? Groups of 8 to 14 passengers can travel in a private long range jet for the ultimate VIP private flight. Private jets including the G ulfstream G4/G5/G6, Global Express, and Falcon 7x deliver unsurpassed style & comfort, with standing room cabins, luxurious decor, and a smooth flight experience. Long range planes are also filled with high-end amenities, allowing you and your entourage to start partying as soon as you board the plane. For the latest availability on charter planes, and pricing whether you’re looking for a ballpark or to-the-dollar costs, give us a call at 1-888-987-5387. Our brokers will be available 24/7 for whenever you need us.